Detailed information and reviews of US banquet rooms and halls offering facilities for weddings, private parties, business meetings and events. Post your requirements and receive no obligation price estimates and quotes. Birthday Party - 100 people. One hour to set up and one hour to clean. 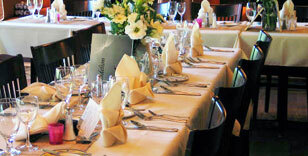 Please help me - I'm looking to rent the banquet hall for 350.00 dollars for 4 hours I will do my own food, decoration.